We’ve been hearing rumblings about a Call of Duty movie for ages now, but given how many videogame adaptations tend to get lost in pre-production limbo, there was no small chance the project would never see the light of day. But it seems Activision Blizzard are serious about the film, and are pushing ahead to make it happen. Drill through the best FPS games on PC for more potential movie adaptations. 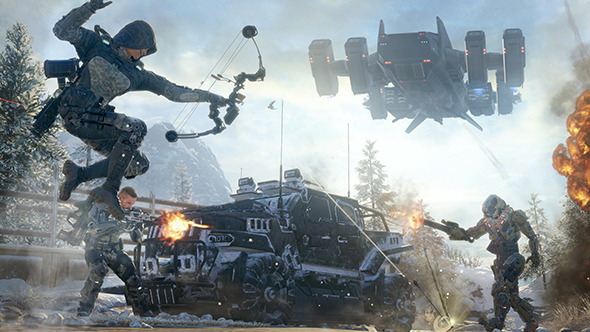 Though Activision Blizzard have yet to confirm the news, Variety report that Italian director Stefano Sollima is in negotiations to direct the Call of Duty adaptation. He’s directed a number of crime and drama films in his native language, and his first English film – Sicario 2: Soldado – will release later this year. Activision Blizzard Studios serves as the gaming conglomerate’s TV and film division, and have already brought an ongoing Skylanders series to life on Netflix. Division presidents Stacey Sher and Nick van Dyk are producing, along with Activision Blizzard CEO Bobby Kotick. Kieran Fitzgerald has written the script, and would develop it with Sollima. Not just limited to a single movie, Activision Blizzard have been discussing a full Call of Duty cinematic universe in the Marvel style. An interview last year suggested that they’re taking inspiration from the settings of the games, but don’t plan to directly adapt any particular plot.